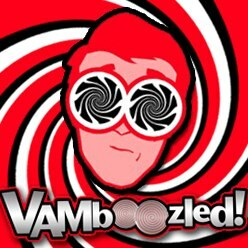 VAM Scholars (n=37) | VAMboozled! The list seems US dominated. If others are allowed on the list I’d start with Harvey Goldstein (and others from his group). His 1991 paper (Harvey Goldstein. Better ways to compare schools? Journal of Educational Statistics, 16(2):89–91, 1991.) was a clear warning to those using these methods and his Royal Statistical Society discussion paper (with David Spiegehalter, the World Loop champion) in 1996 was important for the field. Goldstein also was fundamental in the development of these procedures (e.g., his 1987 book, Multilevel Models in Educational and Social Research, and more recent editions) and the associated software (MLwiN). He continues to address problems on the difficulties with these models (e.g., Foley & Goldstein’s report to the British Academy [http://www.bristol.ac.uk/media-library/sites/cmm/migrated/documents/measuringsuccess.pdf], his review in Annals of Applied Statistics [http://www.bristol.ac.uk/media-library/sites/cmm/migrated/documents/league-tables-technical-review.pdf], and recently with George Leckie in a report about recent changes in UK evaluations [oh, had read it just as a tech rep, it is out now http://onlinelibrary.wiley.com/doi/10.1002/berj.3264/abstract). George Leckie is another name I’d add to the list (e.g., http://onlinelibrary.wiley.com/doi/10.1111/j.1467-985X.2009.00597.x/abstract).